Mrs. Patty Thacker Bowden, 87, died, Monday, August 20, 2018 at Beacon Place. Funeral services will be held at 1:00 p.m. Thursday, August 23, 2018, at Life Community Church with Pastor Jake Thornhill officiating. Interment will follow in Guilford Memorial Park. 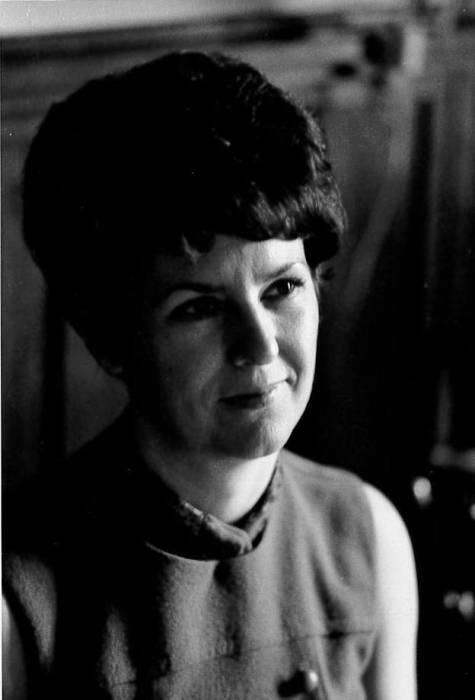 Patty was born January 26, 1931 in the mountains of Kentucky. She was one of twelve children born to Bill and Stella Thacker. At an early age she accepted Jesus as her Savior and was baptized in the Big Sandy River. After graduating from high school she moved to Greensboro in November, 1949 to live with her sister, Roni who lived three houses from Tom. In February, 1950, Tom was released from active duty and returned home. Fate dictated that they become acquainted and date until he was recalled in September, 1950, and sent to Korea. Upon returning home they fell in love so deep, so abiding, so filled with joy, that it sustained them for 66 years. For the full 66 years, Patty was Tom’s lover, she was his best friend, she was the rock to which he could cling, and she was his everything. She was a long time faithful member of Life Community Church, formerly Hunter Hills Baptist. She retired from Burlington Industries, after a 30 year career. Patty enjoyed ballroom dancing, traveling, cruises, and spending quality time with her family. Best of all, was quiet evening spent with Tom at home. Her beloved son, Tommy, Jr. died February 2, 1997. Survivors are her loving husband, Thomas R. Bowden, Sr.; her stalwart son, Derek Bowden and wife Marlene, an angel of mercy; 4 grandchildren; 8 great grandchildren; and sisters, Roni, Irabelle, and Merl and her husband, Charles. The family will receive friends from 12-1 p.m. Thursday, prior to the service at the church. George Brothers Funeral Service is assisting the Bowden family with funeral arrangements.